Alex brings a perfect blend of professional experience and personality to his clients. With a degree in business administration, and a significant background in digital marketing, branding and online advertising, Alex employs the latest marketing tools and technologies to give his clients an edge. He is entrepreneurial, as well, approaching each transaction with creativity and proven business acumen. Whether representing the seller or the buyer, Alex is driven to deliver superior service and assure a smooth, pleasurable real estate experience for every client. This means not only putting your needs and priorities first, but anticipating and heading off potential challenges. This outgoing, compassionate agent genuinely loves helping people. He delights in negotiating the best possible outcome without compromising integrity -- ever. Alex is a natural relationship-builder. Clients find him easy to work with and extremely motivated. He becomes your true partner, working to earn your trust through hard work and dependability, and ultimately, a satisfying result. As a lifelong resident of Owensboro, Alex knows the city inside and out and is well connected and respected in the community. He is a graduate of Apollo High School and Eastern Kentucky University, with a Bachelor of Business Administration degree. When not working tenaciously on behalf of his clients, Alex enjoys spending time with his family. His wife Amanda teaches at Deer Park Elementary, and they are the proud parents of a precious little boy, Brantley and their two rescue dogs, Max and Peyton. Alex’s local knowledge, high energy and business skills make him the ideal agent for our dynamic, growing housing market. He appreciates the many amenities that make Owensboro such a desirable place to live, including the exciting revitalization occurring along the riverfront, and the development projects along Highway 54. 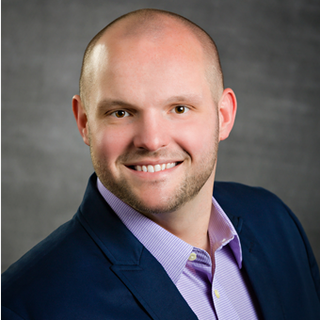 In short, Alex Blythe is both high touch and high tech – a winning combination that’s tailor-made for all your Owensboro real estate needs. "Ask Alex, It's the Right Move!"